Nowadays work has become more stressful with constrained deadlines, ongoing discussions, increasing competition and much more. 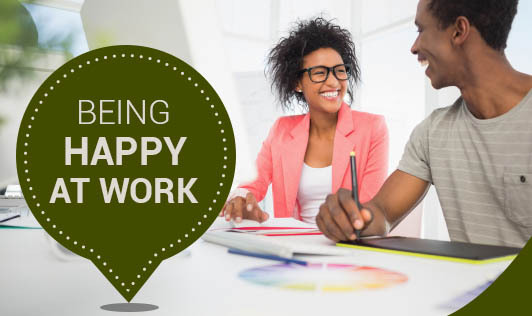 One can try out a few things that can help to feel less stressed and happier at work. Take a break to listen to something interesting - Jokes, mimicry, songs that make you laugh and feel refreshed. Play team building games to establish a good rapport with your team. Invite colleagues home once a while for dinner. Try learning something new – a new language or a new game. Solve crosswords, quiz or Sudoku. Stay fit, go to the gym, or spend some time doing aerobics. Also read health magazines. Keep attractive motivational posters that can encourage you. You can change the poster once in a fortnight or on a monthly basis. Extend help to your team mates to solve problems. Keep your desk neat and tidy. Make sure you smile generously. Practicing these few things regularly can make life easy at work. So, get going.